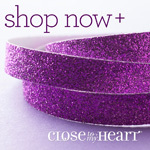 No matter where you live in the United States you can still have a catalog party or Facebook party, or just order and it will be sent right to you! 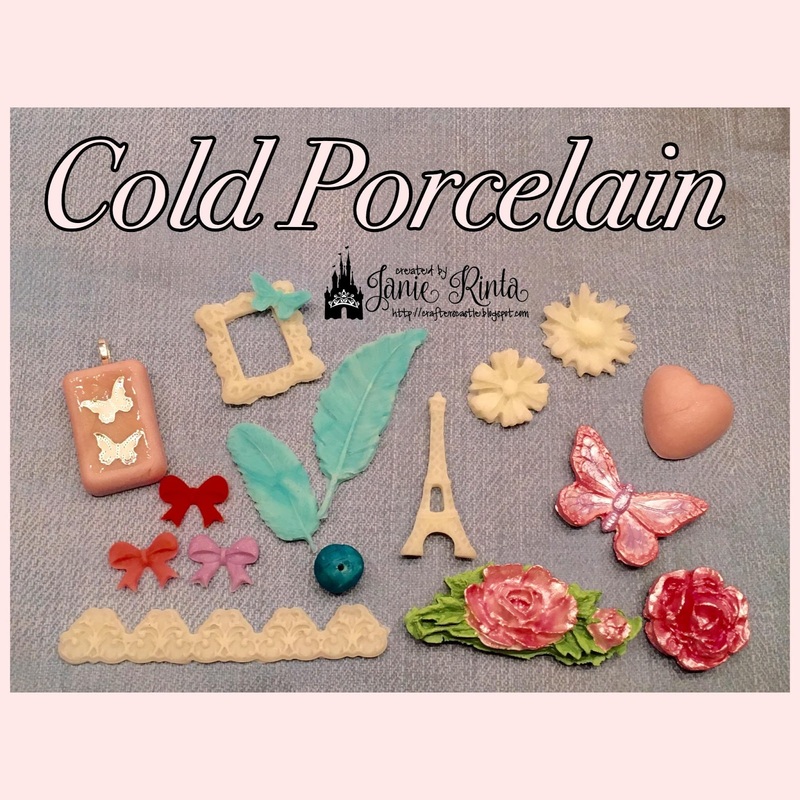 Cold Porcelain Tutorial and Giveaway!!! 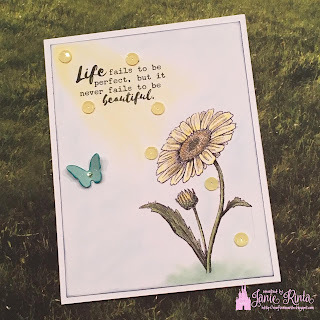 Hi everyone....let me show you how to make DIY EMBELLISHMENTS with 4 simple ingredients you probably already have!!! Perfect for Cardmaking, Mixed Media, Altering, and pretty much EVERY craft including making JEWELRY! 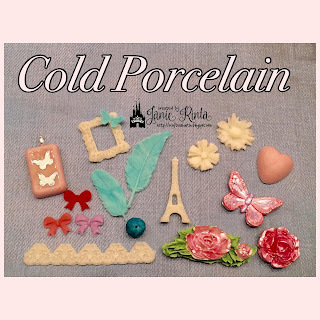 This is just a sample of the beautiful embellishments and jewelry you can make with Cold Porcelain. The possibilities are endless and it is VERY inexpensive!!! Directions on mixing and using are in my video. I'm also having a giveaway and directions for entering are also in the video so don't miss out! It is just a sweet simple card. I colored the image with Ohuhu colored pencils, and chalked the background with Pebbles Pearlescent Chalks. 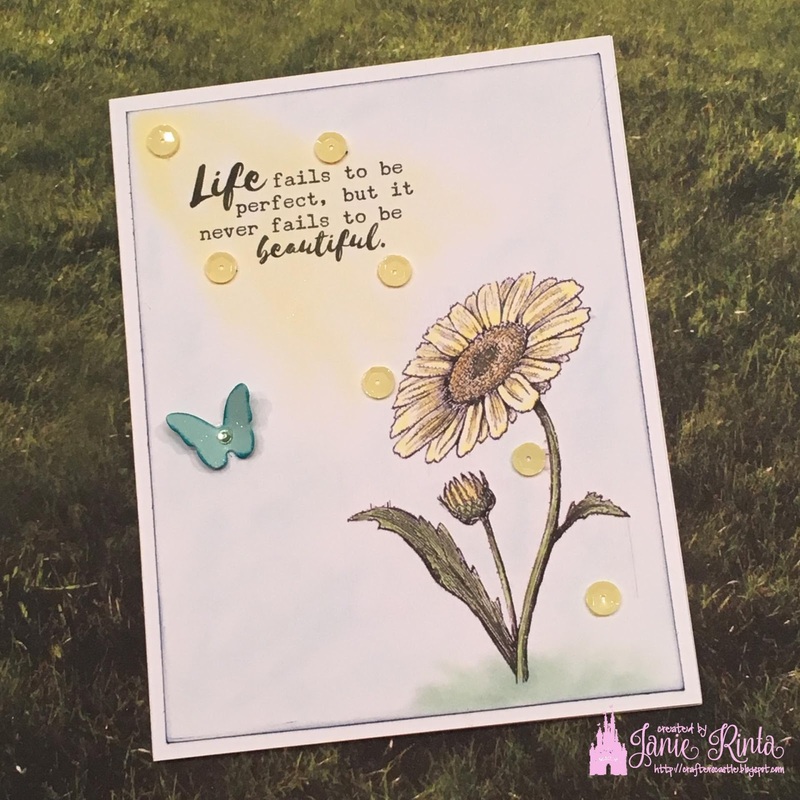 I added sequins to the rays of sunshine, and I LOVE butterflies so I had to add the die cut butterfly and inked the edges and added a gem....I think it really went will with the whole scene. It's probably the closest I will get to a CAS card. 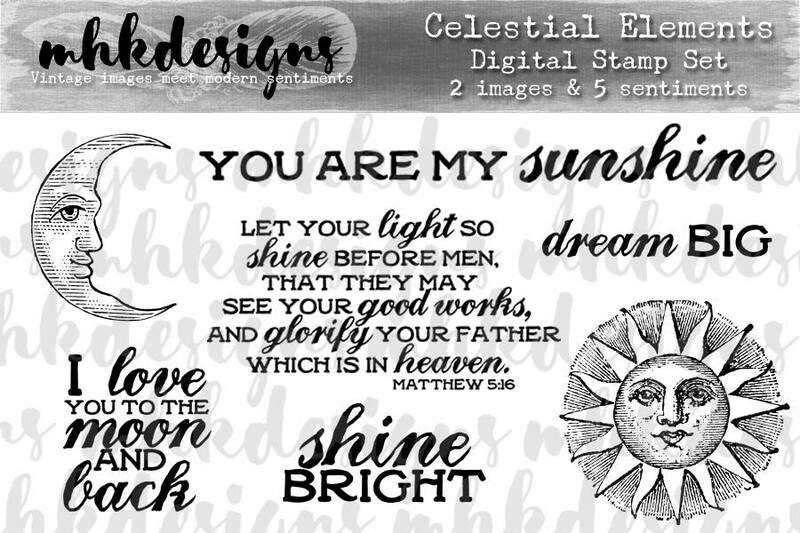 Scroll down for details on MHK Designs Release Party and GIVEAWAY!!! 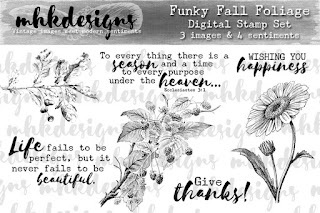 This is DAY 2 of MHK Designs October Release Party ! 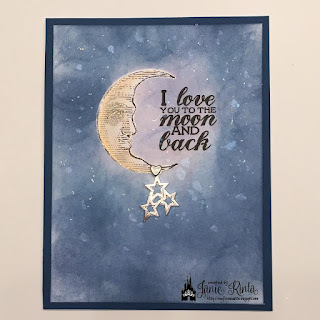 I love this set and just had to make this card for my hubby! 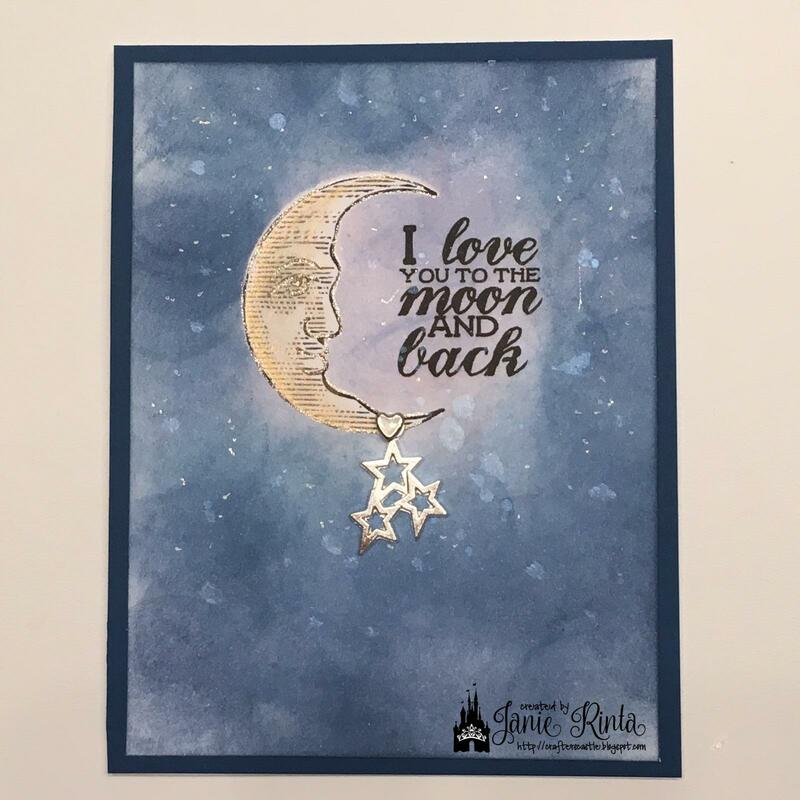 First I printed the moon and sentiment on white cardstock. Then I did some experimenting. I haven't done masking before, but I decided to mask the moon and create a nighttime sky background around it....which was also an experiment. I created the background with Distress Inks....Milled Lavender, Shaded Lilac, Faded Jeans, and Chipped Sapphire. I started with the lighter colors first and then darker the further out I got....I just dabbed around with the ink on a blending tool. 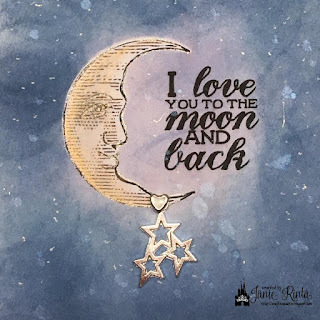 Then I flicked some Twinkling H2O Blue Pearl watercolors on it...then decided it needed something else so I tapped some white gelly roll pen and a glitter gel pen around to help create some stars. Then I removed the moon mask and colored the moon with Perfect Pearls gold and outlined it with a glitter gel pen. I just happened to have a star charm that I thought would be perfect so I attached it with a heart brad. And finally, I matted it onto a piece of dark blue cardstock and adhered it to the front of the card. 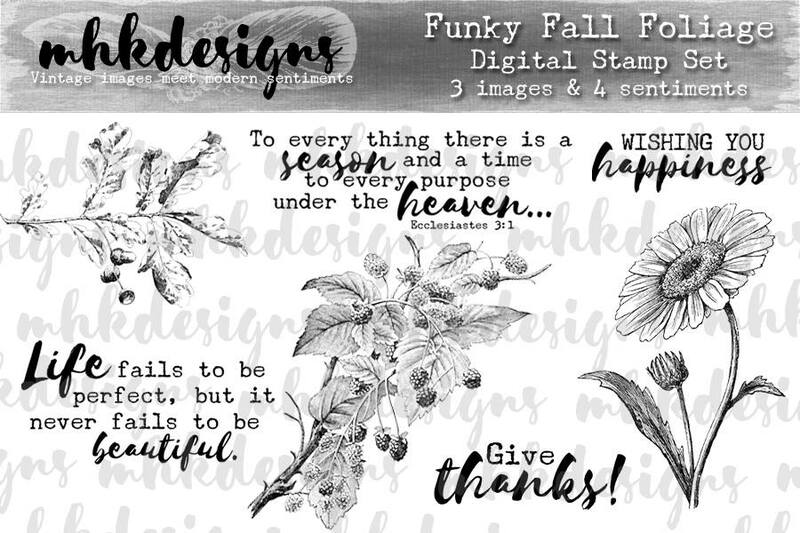 This is DAY 1 of MHK Designs October Release Party ! 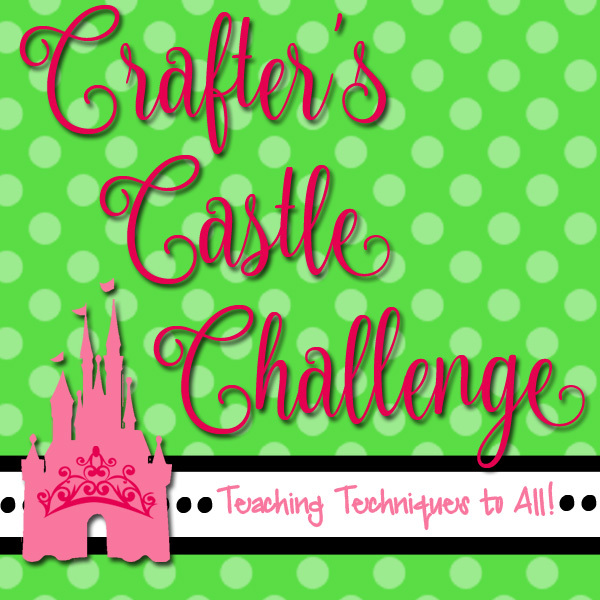 Welcome to Crafter's Castle first DT Call!!! First the announcement! 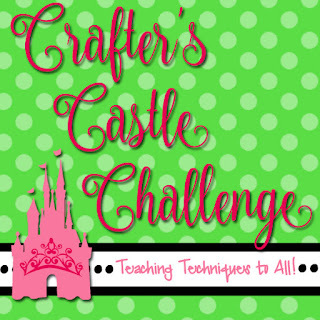 Starting in Jaunary 2018 Crafter's Castle will be having monthly challenges! The challenges will start on the first Saturday of each month and will be open for 4 weeks. Each challenge will have sponsored prizes. Most of the challenges will be card fold and/or technique themed so you can hone your skills. Some challenges will be "Anything Goes Using Your Favorite Technique"
Ok....let's move on the Design Team Call. I'm looking for cardmakers, scrapbookers, papercrafters, mixed media artists, and more! 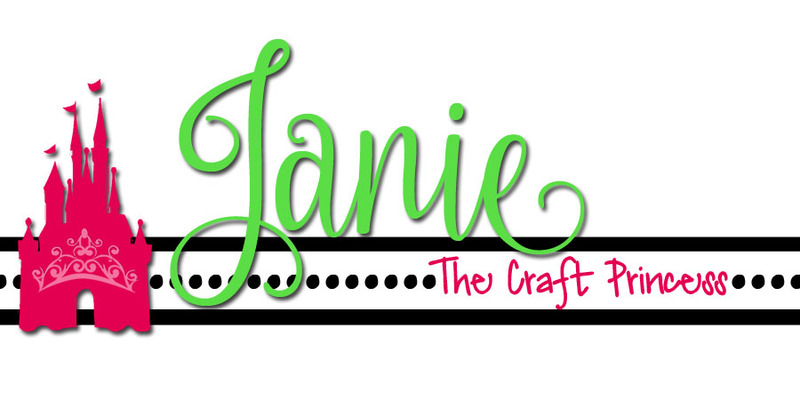 I'm looking for 4 creative crafters to join my friendly team....or should I say "creative family". Here is what I need from you and what you will get from being on the team. You must live in the United States (Sorry, this requirement has to do with sponsors that can't ship out of the country). 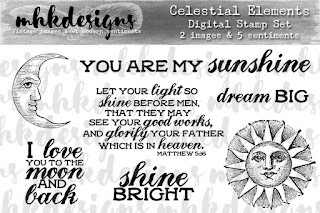 HOWEVER....if you are international and would be interested in being a Guest Designer OR the possibility of just participating in the months we have digital products...please apply and let me know where you are from and that you are interested in one of those options. You must 18 years old or older. You will be committing to a 6 month term, beginning January 2018. You must have an active YouTube channel AND active blog. (If you don't have both but still want to try out for the team please contact me). You will be making 2 projects a month showcasing the sponsors products. At least one of them needs to be featured in a YouTube video. Both need to be on your blog. And all need to be posted in social media as listed below. 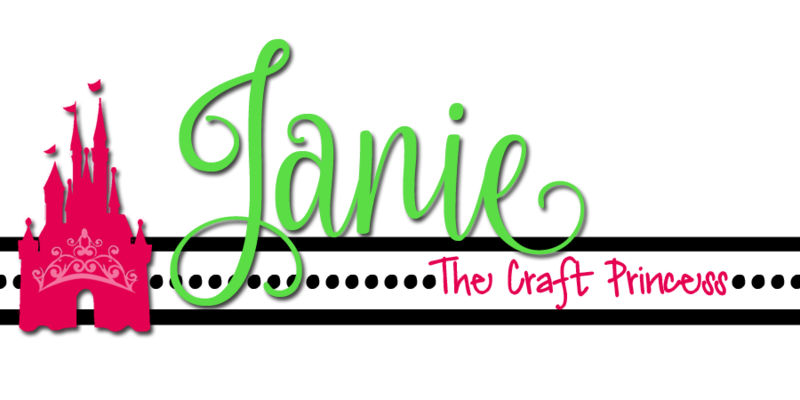 Depending on the theme of the month it could be cards or any craft that fits the theme (including mixed media, scrapbooking, 3D projects, etc). 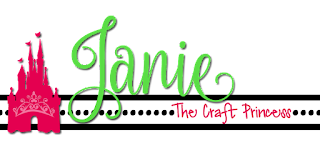 You must be willing and able to post your projects on Facebook, Pinterest, Instagram, and other social medias. Entering other challenges with your projects is encouraged. Facebook is a must as that is how our team will be communicating with each other and all team info will be posted there as well. We will have a private team group. 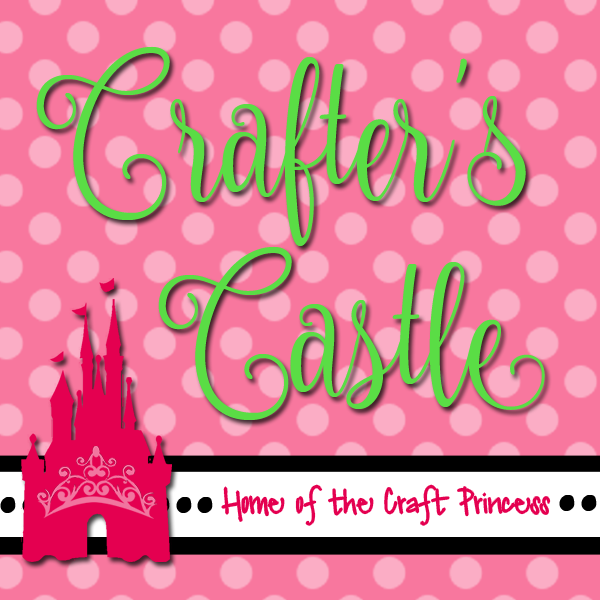 You will get exposure on Crafter's Castle blog and on team members Crafter's Castle blog posts. If all goes as planned, the team will be notified by Nov. 15.